In order for a property management company to be successful and productive, they need to have proven operational procedures that allow them to find and approve tenants quickly, manage issues effectively and keep you in the loop the whole time. One way that a property management company may implement these operational procedures is by having a team of specialized individuals that are dedicated to performing one task for your property. Many times, the team is divided into leasing, maintenance and inspections. This helps property managers focus on one thing without jumping from one process to another. When interviewing property managers, you can learn about their processes by asking them how they would handle different issues. For example, you may want to ask what happens when a tenant calls and says they have a maintenance issue at their rental. Or you may want to ask them about what a tenant has to do in order to move in to a property. Organized processes can take a property management company to the next level of customer service. The landscape for real estate and property management is rapidly changing. With regular advances in technology and new innovations that make it easier for people to find and rent houses, a property management company must stay relevant in order to stay in business. A good property manager will understand new developments in their industry and take advantage of new innovations. 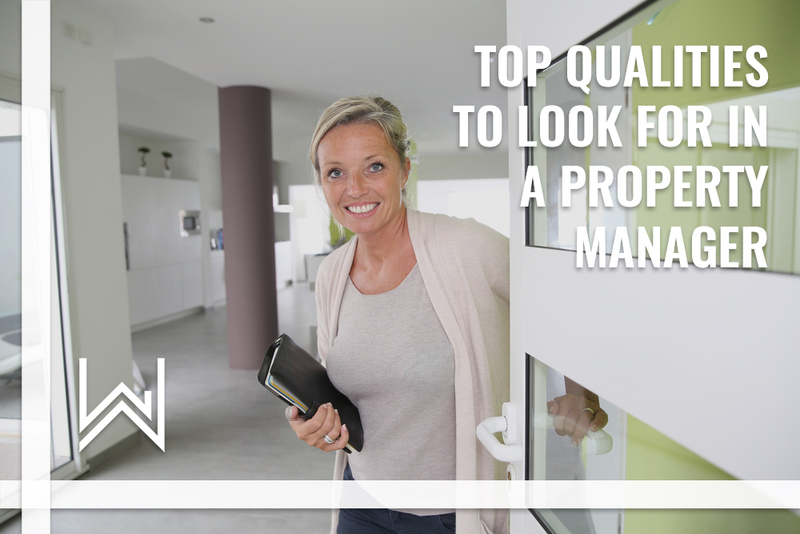 Whether it comes to screening a tenant, handling rent payments or performing inspections, a quality property manager will take great care in being detailed in the way they do business. By paying attention to details when screening and approving tenants, they have a clearer understanding of how responsible the tenant will be. One way they can do this is by having a thorough vetting process which includes credit checks, background checks and contacting references. When handling any finances, it is imperative a property manager takes great care. Missouri laws explain how money should be handled by a property management company. During an inspection, a property manager should be detailed so they can have a complete picture of the property's condition. By taking detailed notes and quality pictures, a landlord can get a clear picture of the condition of their investment, even when they are not in state. When you have moved away from Fort Leonard Wood and trusted your property to a quality manager, you won't have the time or the connections to get the best price for the best work. You'll need to rely on your property manager to get you in touch with vendors that will do the best work for your investment. A good property management company will be constantly reviewing their vendors' work and the prices they are charging to make sure their landlords are getting a good price and the work doesn't need to be done more than once. A very important aspect of being a quality property manager is being transparent with clients. Since you are trusting someone in a different state to take care of your real estate investment, you should expect them to be upfront and honest with you. If there is an issue at your house, you should want them to contact you immediately and speak with you about solutions. They should be transparent with you about why they would or wouldn't suggest a vendor for a specific project. They should be transparent about expenses you should expect during your contract with them. Not only is this just good business, it will relieve your stress of wondering if you made the right decision when hiring a property manager. It's not always easy to figure out what qualities a property management company has if you don't know the right questions to ask. That's why we've created The Definitive Guide to Hiring a Property Manager in the Fort Leonard Wood Area. In it, you'll get the big picture of how a property management company operates and what questions to ask when you are interviewing potential property managers. You can check it out here!